Biography: Born in New York City in 1894, Norman Rockwell always wanted to be an artist. At age 14, Rockwell enrolled in art classes at The New York School of Art (formerly The Chase School of Art). Two years later, in 1910, he left high school to study art at The National Academy of Design. He soon transferred to The Art Students League, where he studied with Thomas Fogarty and George Bridgman. Fogarty's instruction in illustration prepared Rockwell for his first commercial commissions. From Bridgman, Rockwell learned the technical skills on which he relied throughout his long career. On November 8, 1978 Norman Rockwell died in his Stockbridge home at the age of 84, leaving an unfinished painting on his easel. His now nostalgic paintings and illustrations continue to live on in American history, depicting decades of pleasantry and pain. 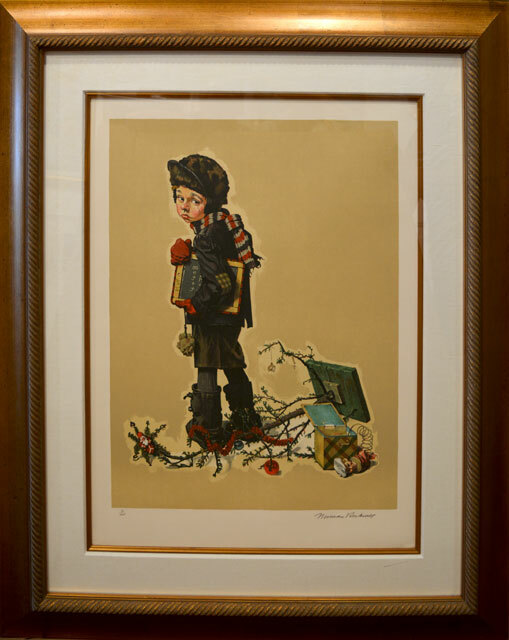 Rockwell's originals have sold for more than $100,000.00.